GIVING AWAY FREE ANGELS, JULY 20 & 21, THIS SATURDAY & SUNDAY! Hurry! Hurry! Get your free angel here. All you have to do to get your free angel is hit that link sometime during July 21st or 22nd and she will be delivered to your Kindle or Kindle app. Will it be a real angel? Ah, come on. For real angels, you gotta do more than hit a link. Start praying now and maybe you’ll get a real one before you die. This is not a real angel, it’s an eBook about an apparent angel, who isn’t even an angel, really. 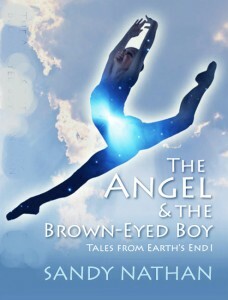 My book The Angel & the Brown-eyed Boy, will be FREE this Saturday and Sunday through the Amazon KDP program. If you have a Kindle or one of the apps for Kindle, you can download my eBook about a dancing extra-terrestrial. OK. So she’s not an angel. She’s lovely and angelic and utterly innocent and good and kind, which just naturally makes some people want to kill her. The Angel & the Brown-eyed Boy is a story about a girl from out of town–way out of town, another planet––who drops in on a mission to save her planet. Little does she or anyone on her world know, things on Earth have reached a very bad state. So bad that we’ll blow the place up––all of it, every living thing––the next day unless someone does something right away. Eliana doesn’t know this. She knows she must find “the Golden Boy.” She does this effectively, finding him at an upscale high school for the arts in New York City. But he isn’t who she thinks he is. And there the plot doesn’t just thicken, it explodes. The IPPY (Independent Press) Award Gold Medal in Visionary Fiction–This is an important win in the largest and oldest competition for independent presses. The Angel & the Brown-eyed Boy is the winner of four national awards, including the coveted Gold Medal in Visionary Fiction from the IPPY (Independent Press) Awards. 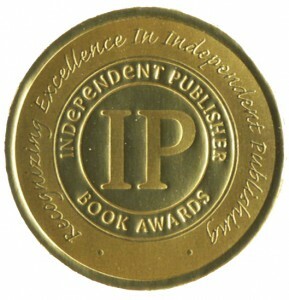 Also won the Visionary Fiction category in the National Indie Excellence Awards. The Angel & the Brown-eyed Boy has 22 reviews on Amazon with a 4.6 out of 5.0 possible rating. Very highly rated. I like the book, and other people like it, too. You can find more information about it on its Amazon page The Angel & the Brown-eyed Boy and my website, The Angel’s page on Sandy’s site. There’s an excerpt here, and on Amazon & my site. THE IMPORTANT THING TO REMEMBER IS: YOU CAN GET THE ANGEL FREE ON SATURDAY & SUNDAY JULY 21 & 22! CLICK ONTO THE PAGE AND DOWNLOAD IT. Be sure and check the price to make sure it’s still zero, though. Amazon gives me two days to offer the book free, but they don’t tell me when it goes on and off sale. 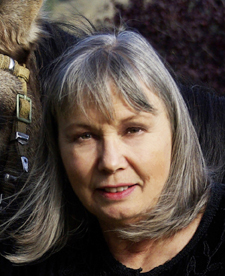 Sandy Nathan is the winner of twenty-two national awards for her writing. She’s won in categories from memoir, to visionary fiction, to children’s nonfiction. And more.